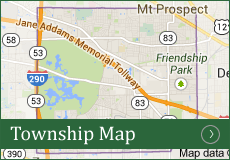 Mike is a lifelong resident of Elk Grove Township. He grew up in Des Plaines and lives there with his wife Monica and their three young children; Michael, Mikayla and Matthew. Mike graduated from St. Zachary School in Des Plaines, Notre Dame College Prep in Niles and Michigan State University with a bachelors degree in Political Science. 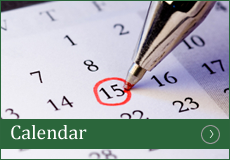 After being appointed Township Clerk in September of 2005, Mike was elected Clerk in 2009, elected Township Supervisor in April of 2013 and April of 2017. After gaining valuable experience in government and politics, Mike left his position as a project administrator for a product marketing company and returned to school to pursue a graduate degree in Political Science. In May of 2017 Mike earned his master’s degree and is currently in the Political Science Ph.D. program at Northern Illinois University. In addition to serving as the township Supervisor and completing his academic work, Mike works as an adjunct political science instructor at several universities in the Chicagoland area. Currently, Mike coaches his oldest son’s flag football team and is a former member of the Arlington Heights Rotary Club and former President of the Notre Dame College Prep Alumni Association. George K. Busse was a Township Trustee from 2000 until his appointment as Township Clerk in August 2015. George was raised in Mount Prospect and attended Prospect High School. He attended Vanderbilt University on an NRTOTC Scholarship graduating in 1976 with Phi Beta Kappa honors. He spent eight years on active duty in the Navy as a Surface Line Officer before transferring to the Naval Reserve in 1984. While on active duty he served tours on a Destroyer, a Destroyer Squadron Staff, in the Office of the Joint Chiefs of Staff and the Naval Office of Legislative Affairs. He also earned a Master’s Degree from Old Dominion University. After working on Capitol Hill as a Legislative Assistant for two years, George returned to Illinois and joined William Blair & Company a Chicago based financial firm where he became a partner and managing director. George retired from the Navy as a Captain after five command tours and 30 years of service in 2016. He also recently retired from William Blair after 32 years. George has been and still is heavily involved in local activities. He is the former Chairman of the Village of Mount Prospect Fire and Police Commission, former Vice Chairman of the Village of Mount Prospect Finance Commission, and former Vice Chairman of St. Paul Lutheran Church in Mount Prospect Board of Directors. He is currently on the Board of Directors of the Glenview State Bank, on the Northwest Suburban Dollars for Scholars Board, and is an active Mount Prospect Lions Club member. He and his wife Suzanne live in Mount Prospect and have five adult children – Brent, Emily, Andrew, Ellie and Kendrick. First elected in 1993, Connie takes pride in the increased levels of service to the Elk Grove Township residential taxpayers that have occurred during her tenure. Functioning as “taxpayer advocates”, her staff has saved taxpayers millions of dollars in their effort to establish accuracy and fairness in the Cook County property tax system. A graduate of Holy Names College in California with post graduate work, Connie has lived in Mt. Prospect for over 40 years, and is committed to serving the community. 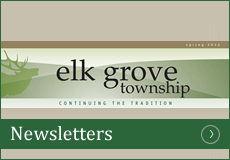 Bob Ingraffia was appointed to fill the vacancy on the Elk Grove Township Board of Trustees when trustee Busse was appointed to the position of Clerk of the Board. Mr. Ingraffia spent 46 years in the field of education. For the majority of that time Bob served in the office of the Cook County Regional Superintendent of Schools. He served as an assistant superintendent and Deputy Superintendent until his election as Regional Superintendent in 2002. In 2007 he accepted the position as the Executive Director of the North Cook County Intermediate Service region. He held that position until his retirement in 2013. Mr. Ingraffia has lived in Mt. Prospect with his wife Christine for 29 years. They have two children and 5 grandchildren all of whom live in the area. Bob is a graduate of St. John’s University in Minnesota and earned a master’s degree in educational administration from Loyola University in Chicago. 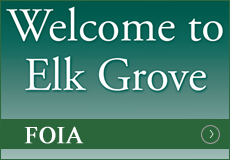 Richard Keenley, of Des Plaines, was appointed to fill the vacancy on the Elk Grove Township Board of Trustees in 2018. Richard graduated from Northridge Preparatory School in Niles, received an Associate’s Degree in Business Administration from College of Lake County and a Bachelor’s Degree in Computer Applications from Roosevelt University in Chicago. Trustee Keenley served in the Unites States Navy from 1984 until 1988 on board the USS Worden, where he achieved the rank of Petty Officer Second Class as an Operations Specialist. He is currently a Senior Laboratory Technician at Hollister Incorporated in Libertyville. Richard is married and has three daughters, who are currently enrolled in or have attended Elk Grove Township Schools. He has been involved in various activities at St Zachary School and Parish in Des Plaines, serving on the Marketing Committee and School Board as well as serving as Athletic Director, a position he currently holds. Suellen is in her third term as trustee for the township. She was raised in Northbrook and graduated from Glenbrook South High School. Suellen graduated from Wheaton College with a degree in political science and a concentration in sociology. She has been employed by School District 59 for 21 years, working at Clearmont School in Elk Grove Village and Robert Frost School in Mount Prospect. She and her husband Jason have been residents of Elk Grove Village since 1983. They have two daughters, Kristina and Elizabeth, both graduates of Taylor University in Indiana. Both daughters attended school in District 59 and District 214, where Suellen was an active volunteer in each school they attended. She is also involved in her local church and enjoys spending time with her two grandchildren. Art was appointed Highway Commissioner in May of 2013. Art is President of Nevarr Inc.’s three corporate divisions serving local homeowners, construction companies, municipalities, landscapers and other industries since 1970. Art is current President of Elk Grove Township Trustees of Schools for Disrticts 57 and 59. Art was born at Lutheran General Hospital and attended local Elk Grove Township schools. Art is married to Malgorzata Lochocka Niewiardowski and has three children.